Join us for a fun ladies night full of shopping & flowers at Bed & Bath Affair! We'll kick the night off with a flower arrangement class by Alice's Table while sipping on a glass of wine (of course)! Those who attend will receive a discount off merchandise as well! Bring your girlfriends, relax & have a blooming time with us at Bed & Bath Affair. Lancaster loves to give back so we're teaming up with Loxley's Restaurant to help support the Children's Miracle Network! It will be a night full of gifts, drinks, delicious food, beer flights, and of course, a flower arrangement class with Alice's Table! Click the link to learn more! Join us for a night of beauty & blooms at Beauty by Judelyne Makeup Bar & Spa. 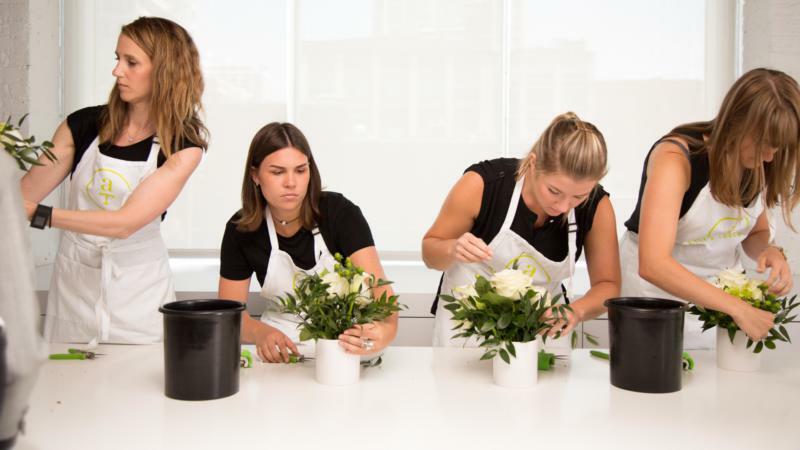 Enjoy a night of pampering as well as a flower arrangement class with Alice's Table. The perfect Ladies Night Out with your girlfriends!